Instead of imploring the world to “give me your tired, your poor”, the Statue of Liberty’s welcoming message might well have been “as-salamu alaykum”, the Arabic greeting used by Muslims around the world. That’s right, the world’s most recognized symbol of freedom and the American dream, was originally intended for Egypt, which ultimately rejected it for being too old fashioned. 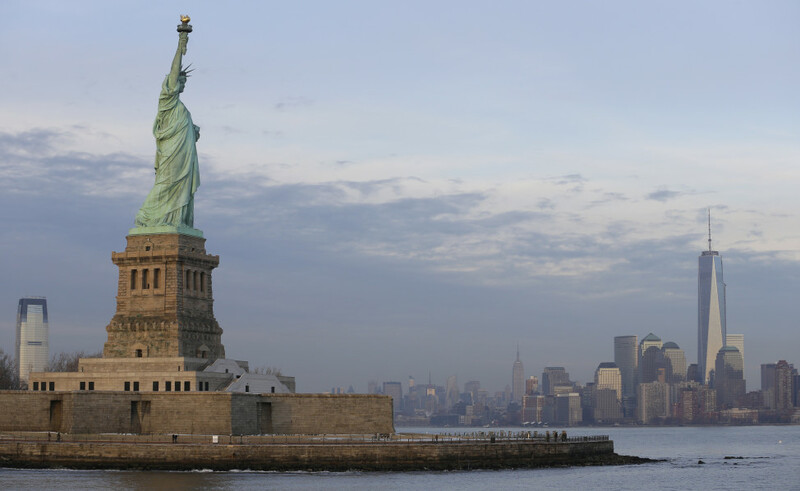 The decision came as a disappointment to Lady Liberty’s creator, Frédéric Auguste Bartholdi, who’d envisioned the Suez Canal as the ideal venue for his mammoth harbor structure. 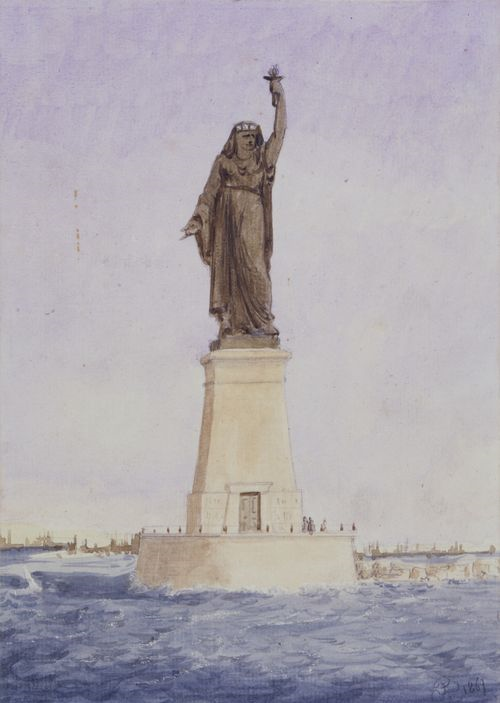 Statue of Liberty creator Frédéric Auguste Bartholdi’s original design for the mouth of the Suez Canal in Egypt. “He was inspired by the Sphinx and the pyramids and the idea you could create something massive that could almost be eternal,” said Elizabeth Mitchell, who brings Bartholdi’s quest to life in her book Liberty’s Torch: The Great Adventure to Build the Statue of Liberty. Mitchell was motivated to write the book after coming across Bartholdi’s diaries at the New York City Public Library. That’s when she first realized the iconic symbol wasn’t a gift from France as many Americans believe. After his failure in Egypt, the artist shifted his attention to America, which was prospering after the end of the Civil War. “Maybe no other country at the time would understand the excitement and importance of having this bigger-than-life, colossal symbol,” Mitchell said. Few sites across war-torn Poland harbor more secrets of atrocity and horror than the Nazi concentration camp of Sobibor. Different from Auschwitz, which almost immediately yielded the full scope of the crimes committed there, the history of Sobibor in eastern Poland was initially hidden and opaque. 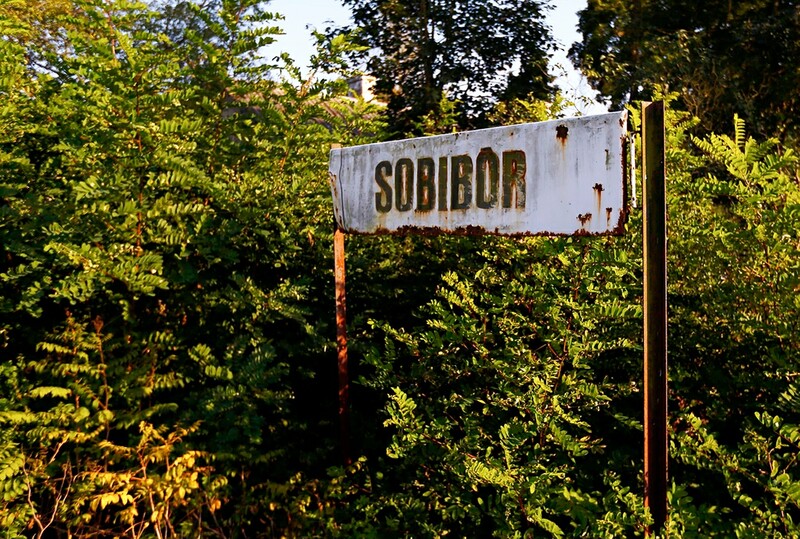 Unlike Auschwitz, the fate of Sobibor wasn’t liberation. It was obliteration. The Nazis who had run the camp tried to extinguish every remnant of it in 1943, painting over its grounds with a farm, trees and asphalt. Besides a railroad track and the commander’s house, Haaretz noted, nothing remained of the camp. Save for the testimonies of the few survivors, who could only provide scant recollections of small areas of the camp, Sobibor had been lost to history. But now, more than 70 years later, relics of genocide have surfaced, bringing more clarity to the murder of an estimated 250,000 Jews there than ever before. Buried beneath an asphalt road were a series of well-preserved gas chamber walls that archaeologists say will help elucidate the secrets of Sobibor. Beneath the road were brick rows, stacked four deep — the exoskeleton of four gas chambers. Gen. Philip M. Breedlove said Wednesday that the Russian troops near Ukraine were poised to attack on 12 hours’ notice. BRUSSELS — NATO’s top commander said on Wednesday that the 40,000 troops Russia has within striking distance of Ukraine are poised to attack on 12 hours’ notice and could accomplish their military objectives within three to five days. President Vladimir V. Putin of Russia told Chancellor Angela Merkel of Germany on Monday that the Kremlin was beginning to withdraw troops from the border area near Ukraine. 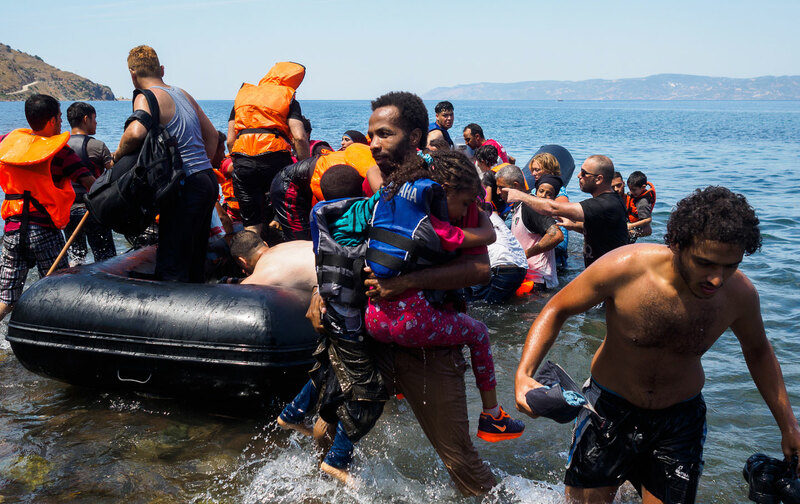 But the NATO commander, Gen. Philip M. Breedlove, said in an interview with The New York Times that so far only a single battalion, a force of 400 to 500 troops, was on the move and that NATO intelligence could not say whether it was actually being withdrawn. 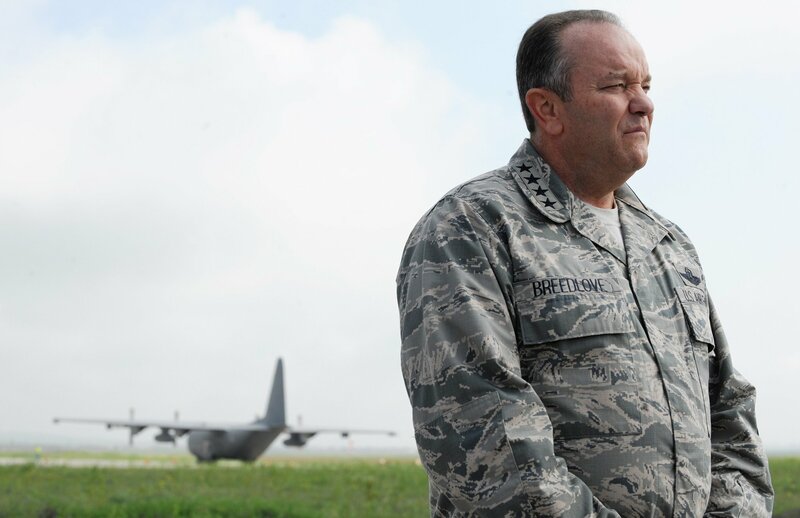 General Breedlove said that the Russian force that remained was a potent mix of warplanes, helicopter units, artillery, infantry, and commandos with field hospitals and sufficient logistics to sustain an incursion into Ukraine. The Progressive Democrat supports quality journalism. We subscribe to The New York Times. 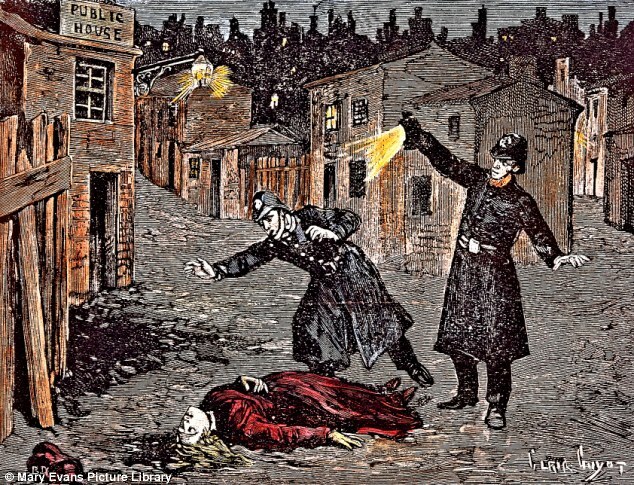 Everything you know about the Black Death is wrong, say the bones. In the autumn of 1348, a central Asian sickness arrived in London and quickly dispatched 60 percent of the city’s population. Within a decade, in what’s believed to be the worst human calamity of all time, something like 25 million Europeans were dead. And when they died, the secrets of their demise disappeared with them. 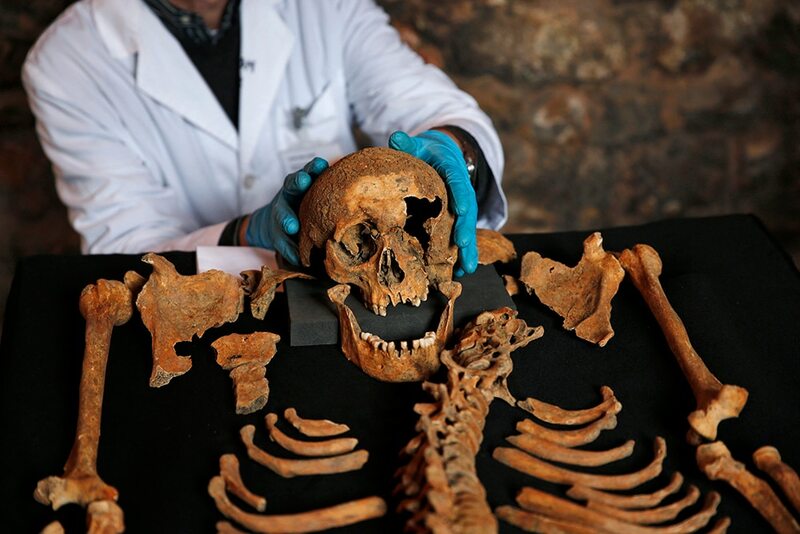 On Sunday, London scientists who’d studied 25 skeletons discovered in a new rail line said everything we’d thought about the bubonic plague — what caused it, what kind of disease it was, its strength — was wrong. Most of the ensuing coverage focused on the finding that the disease wasn’t likely spread by rats’ fleas, as has been taught in every high school in the West, but had actually been airborne. Author konigludwigPosted on April 1, 2014 Categories Anthropology, Archaeology, Biology, Epidemiology, Europe, Great Britain, History, Science, Top stories, World NewsTags Black Plague, London-England, Yersinia pestisLeave a comment on Everything you know about the Black Death is wrong, say the bones.